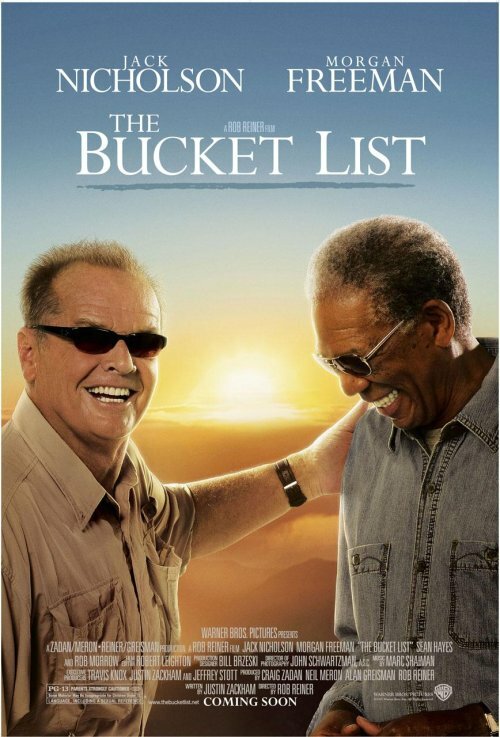 You know, for two old guy who are apparently stranded in the middle of a desert Jack Nicholson and Morgan Freeman look quite happy. I’m not quite as happy tough. In fact, as I look at the poster, I’m mostly bored. I’m sure that something great is going on somewhere nearby, or maybe Jack just told a really funny joke, but there is nothing interesting in the poster itself. Just the two guys, and I don’t think that is enough. Some recent films have been sold on the meeting of two or more famous stars that don’t generally work together. Meet The Fockers is probably the most successful example of that, but there are others. However, I don’t think the meeting of Nicholson and Freeman is likely to, by itself, get that many people interested, and since the poster gives no more context that is all we have.